For general housing questions, contact the Housing Office (Monday - Friday 8:30 am-5:00 pm). 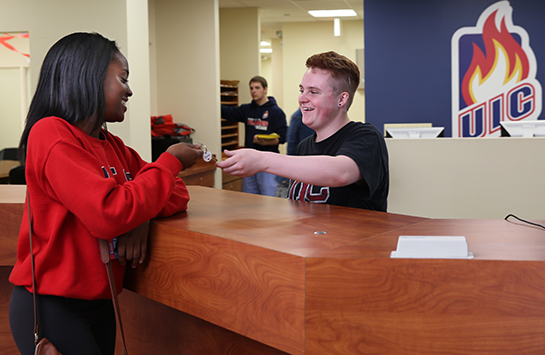 Residence Hall front desks are available for students 24-hours. The residence halls are open 24-hours a day during the academic year. The area desks are available to help with guest check-in, packages, key lockouts, and equipment rentals.